Doing the most you can for your oral health is as simple as one, two, and three; brush your teeth at least twice a day, floss at least once, and visit your dentist at least twice a year. As simple as the proper oral hygiene routine is, if done incorrectly, you may wind up causing more harm than good. Dr. Young, your Lafayette dentist, explains the proper method of maintaining your excellent oral health at home. When your teeth feel especially grimy, it can be tempting to put a little extra elbow grease into cleaning them. Your teeth may temporarily feel cleaner for your extra-mile effort, but you’re actually scrubbing away your tooth enamel, the protective layer that covers the crowns of your teeth. If enough enamel wears away, your teeth may become sensitive, and bacteria will eventually be able to infiltrate your tooth structure. 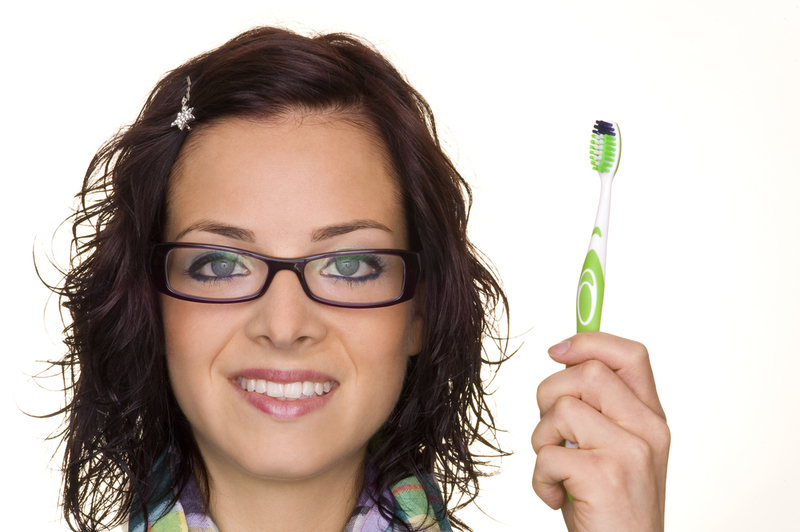 The best toothbrushes are made of soft bristles, such as nylon, and carry the ADA seal of approval. Harsh, natural bristles, such as those made from animal hair, can exacerbate enamel erosion. When you use your soft-bristled toothbrush, do so gently. Be sure to brush every surface of each tooth as though you were carefully trying to remove bacteria and debris, paying special attention to the molars in the back. Rough bristles and harsh brushing can also irritate the gums, causing them to recede from your teeth and create small pockets where bacteria can accumulate and cause gum disease. Even the most magnificent tooth brushing technique will not suffice to extract the food debris and bacterial plaque from in between adjacent teeth. There are many different types of dental floss, from mint-flavored waxed thread to floss with stiffened ends to make flossing easier. Regardless of the type you choose, proper technique is important to flossing effectively. Gently guide the floss between two teeth in a zigzag motion, stopping when it reaches the gum line. Curve the thread to match the curved surface of the tooth, then carefully slide the floss up and down and under the gum line. Repeat for the adjacent tooth’s surface, and proceed to floss each tooth with a clean section. Once you have your at-home daily routine mastered, the last step to optimal dental health is to visit your dentist at least once every six months for a comprehensive checkup and cleaning. Dr. Young will thoroughly inspect your mouth for signs of infection or disease, and our hygienist will remove plaque buildup and tartar as well as polish your teeth. A little care in your daily oral hygiene routine can help you enjoy a healthy smile for life. If you are in or near the 70508 area and would like to know more about maintaining your oral health, call our Lafayette dental office at (337) 237-6453 to schedule an appointment with your Lafayette dentist.